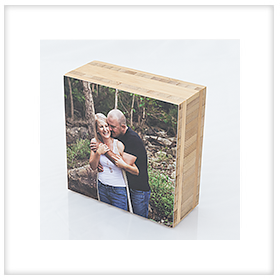 Our bamboo blocks are specially cut and then hand sanded to give you an amazing finished product. 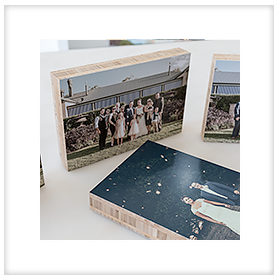 With a 4cm wide beautiful decorative edge your special memories printed onto these blocks will last a lifetime as we combine a high quality raw product with the latest in print and photo finishing technology. We offer five popular sizes for you to choose from. The largest of the bamboo blocks are 30 x 20 cm (12 x 8) and go down to our 10 x 10cm square blocks. 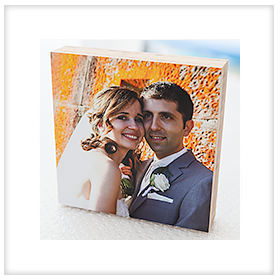 All the images on our bamboo blocks are printed on our range of professional photographic paper. 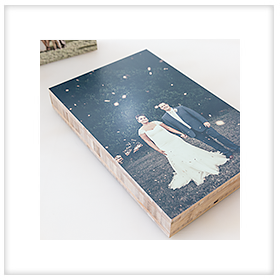 We don’t print directly onto the bamboo as this is inferior and not photo quality. 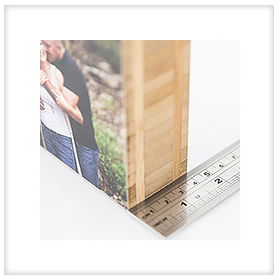 Once your photo is printed we then apply a protective laminate to the front which has a Satin / Matt finish. Our simple specially cut key hole in the back of the bamboo keeps things really simple and easy. All you need is a hook or screw in your wall and your done. 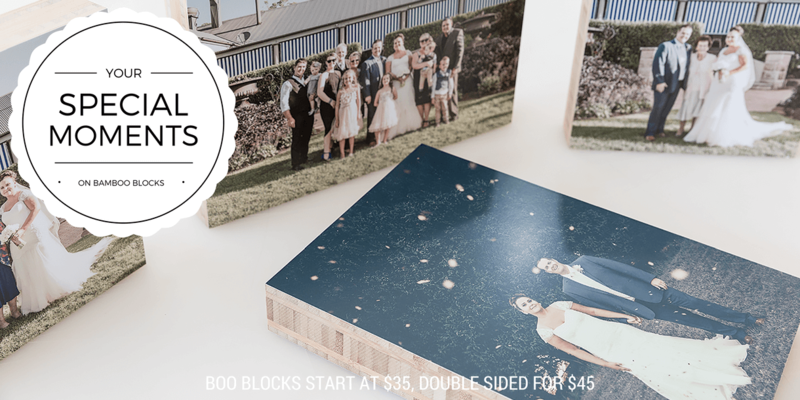 Our blocks stack perfectly on top of each other and make for a great way to display your special memories. 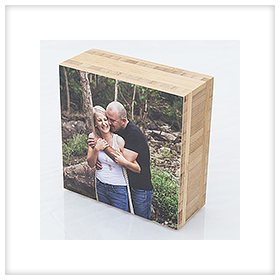 Customers even have their blocks double sided so they can have any range of image combinations mixing things up. 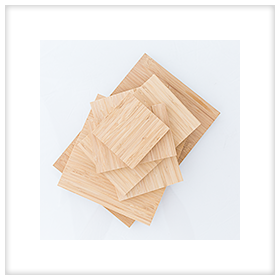 Just like with our bamboo panels, our bamboo blocks go perfectly as a collection. 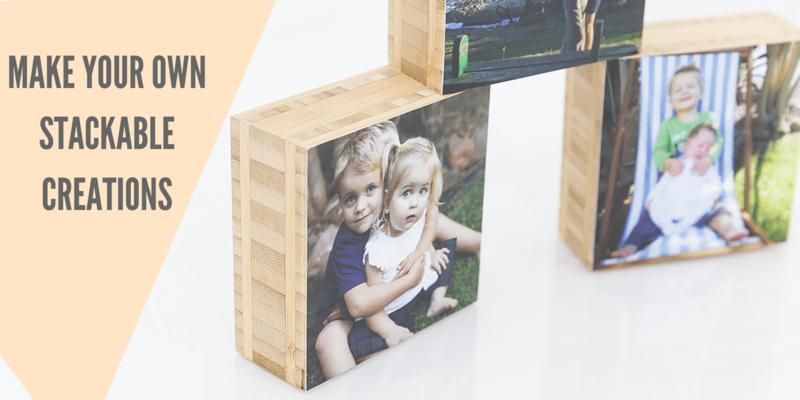 As your memories grow, so can your bamboo block collection. Tell your own story. The engagement party, the wedding, the honeymoon and the birth of your first child. If your looking for something a little thinner or bigger that can hang on your wall, then our bamboo panel is what your after. It’s 2cm thick with the same decorative edge as the blocks. Each panel has a small key hole cut in the back for easy hanging. 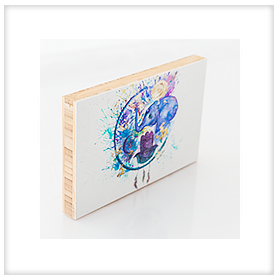 Same high quality product and photo print. 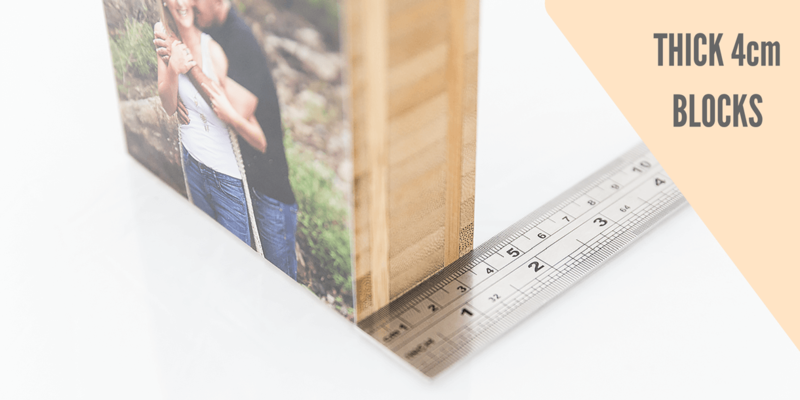 Our pricing below is for your image printed on a satin / matt professional photo paper with a matt protective coating over the top and mounted to our block. 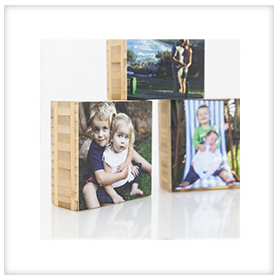 Our blocks can have a photo mounted on both sides for a small additional cost. All pricing excludes delivery.